Description Adventure Halloween is a great adventure-platform game. 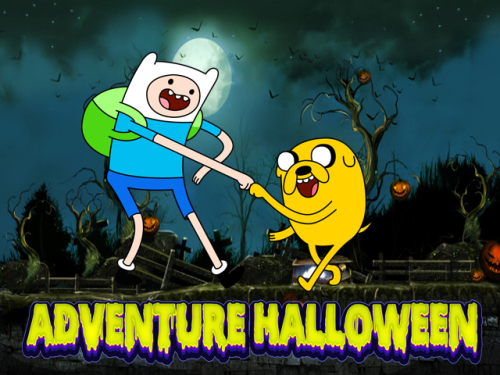 Halloween is here and Finn and Jake is going to wood to make some fun. Help Fin and Jake to collect all candies and put it on the grave and past all 20 levels. To control Finn use arrows, for Jake use WASD keys. Good luck!! !